Long time back , people used to travel place to place via bullock carts or tonga , or some other primitive methods of transport , which was not efficient enough with respect to their time and comfort . 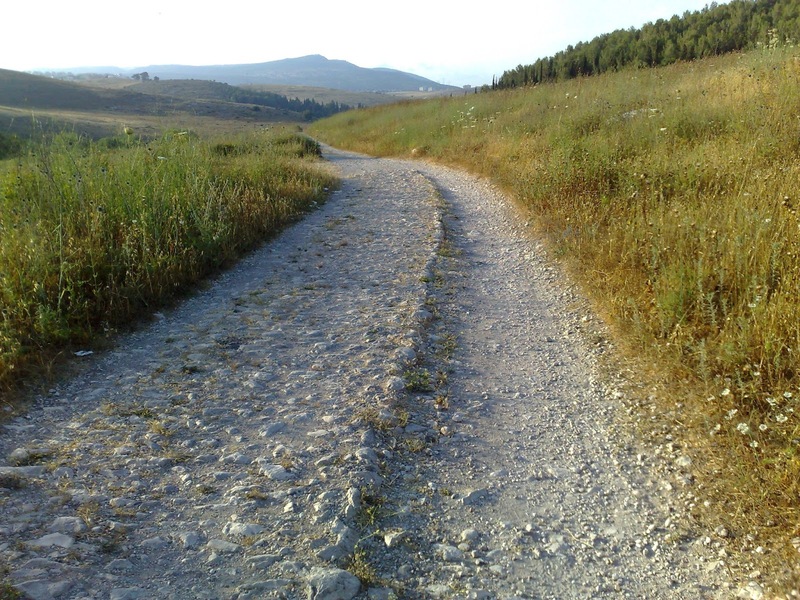 The roads were usually of mud where transportation of heavy duty vehicles cannot be thought of . This was one of the reasons why Industrial Development was slow at that time . But with the advancement of time and technology , the time arrived when major cities across different states started getting connected via highways for good transport services . Soon these highways started increasing in numbers , connecting various locations to each other and making transportation of goods faster and movement of heavy duty vehicles easy . At present , we have a densely connected network of highways all across the country . this highway network is maintained and taken care by a government organization , NHAI i.e. National Highway Authority of India . These highways measured over 100,087 km (62,191 mi) as of June 2016, including over 1,000 km (620 mi) of limited-access expressways (motorways). Out of 1,00,087 km of national highways 26,200 plus km are at least 4 laned with the remaining 50,000 km 2 laned . Indian government has set itself a target of construct and upgrade 30 km of highway per day (11,000 km per year) from 2017 and all new construction will be using cement concrete instead of bitumen. While national highways constitute 1.7% of Indian roads, they carry 40% of the traffic. The majority of existing national highways are two-lane roads (one lane in each direction), though much of this is being expanded to four-lanes, and some to six or more lanes. Some sections of the network are toll roads. Over 30,000 km (19,000 mi) of new highways are planned or under construction as part of the NHDP, as of 2011. This includes over 2,600 km (1,600 mi) of expressways currently under construction. India has 100,087 km (62,191 mi) of national highways (NH) connecting all the major cities and state capitals as of June 2016. National highways comprise 1.7% of India's total road network, but carry about 40% of road traffic . Most of them have two lanes. About 26,000 km (16,000 mi) have been widened to four lanes with two lanes in each direction as of May 2016. Only a few national highways are built with cement concrete . As of 2010, 19,064 km (11,846 mi) of national highways were still single-laned roads . The government is currently working to ensure that by December 2014 the entire national highway network consists of roads with two or more lanes . India has the distinction of having the world's second highest-altitude motor highway— Leh-Manali Highway, connecting Shimla to Leh in Ladakh, Kashmir . 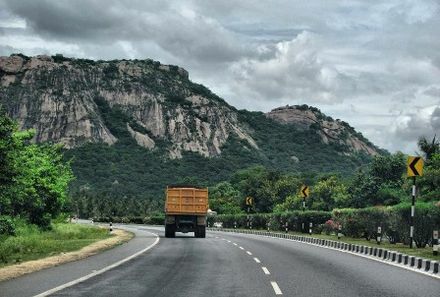 National highways form the economic backbone of the country and have often facilitated development along their routes, and many new towns have sprung up along major highways. Highways also have large numbers of small restaurants and inns (known as dhabas) along their length. They serve popular local cuisine and serve as truck stops. 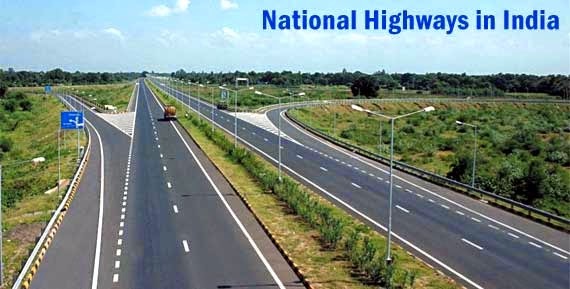 On 28 April 2010, the Ministry of Road Transport and Highways officially notified the rationalized number system of the national highway network in the Gazette of the Government of India. It is a systematic numbering scheme based on the orientation and the geographic location of the highway. This was adopted to ensure more flexibility and consistency in the numbering of existing and new national highways. All East-West highways now have odd numbers, starting in the North and increasing in number towards the South. In other words, the greater the latitude the smaller the N-H number and vice-versa ie NH-1 in J&K and NH-87 in Tamil Nadu. Similarly, all North-South highways now have even numbers, starting in the East and increasing in number towards the West. In other words, the greater the longitude the smaller the NH number and vice-versa i.e NH-2 in the North-East States of India and NH-68 in Rajasthan & Gujarat. Major highways have single- or double-digit numbers. Offshoots of these highways have triple digits (either with or without a suffix alphabet). For example, offshoots of NH 2 are numbered 102, 202, 302 and 502. Please note that the last two digits indicate the Major Highway. In the numbering of the Offshoot Highways, the first digit of the three digit number will indicate the direction i.e if the first digit is odd number it says the road is in East-West direction and if even it indicates North–South direction. The trucking giants running on these highways can be booked online through various websites online , such as GoodsOnMove , which provides smooth delivery of the goods saving your time and money . No Comment to " INDIAN HIGHWAYS "